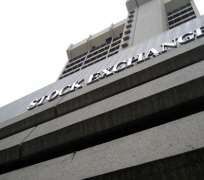 Chief executives of stock broking firms under the auspices of the Association of Stock broking Houses of Nigeria (ASHON) and the Chartered Institute of Stockbrokers will today meet with the Director General of the Nigerian stock Exchange (NSE) Ndi Okereke-Onyiuke over issues affecting the market. One of the issues to be discussed would be the suspension of the Vice President of NSE Erastus Akingbola from the council. Akingbola was the chief executive officer of Intercontinental Bank. He was removed alongside four other bank executives. Already, the Chartered Institute of Bankers of Nigeria (CIBN) of which Akingbola was the president, has announced the first vice president of the institute, Mr. Laoye Jaiyeola, as the acting president. The Securities and Exchange Commission (SEC) had ordered the NSE to suspend the affected bank executives pending the conclusion of investigation of allegations against them by the CBN. The NSE Director General had said that Akingbola could not be removed from the council because he registered as an individual and not on behalf of Intercontinental Bank. With his removal from CIBN where he equally registered as an individual, it became clear that the NSE had no option than to carry out the SEC order. The corporation is indebted to banks to the tune of N40 billion, according to a list published by the Central Bank. SEC had issued a query to the Director General of the Nigerian Stock Exchange to explain the circumstances under which a company that she chaired appeared on the list of those with non-performing loans given the sensitive nature of her job. In her response, Okereke-Onyiuke explained that the loan was a corporate loan taken by Transcorp for the acquisition of 51 per cent equity in NITEL. “The said debt was not incurred in my personal capacity, nor did I take unilateral decisions or abuse my position as chairman to use funds other than what the Board of Directors collectively approved. Transcorp via a board resolution borrowed $500 million from five Nigerian banks, three of which were serving on the board at that time for NITEL acquisition.